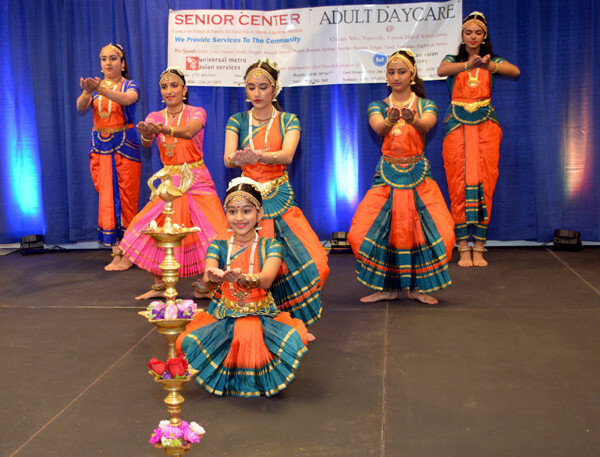 Home BREAKING NEWS Seniors enthrall audience at fundraiser in Schaumburg, Il. Seniors enthrall audience at fundraiser in Schaumburg, Il. 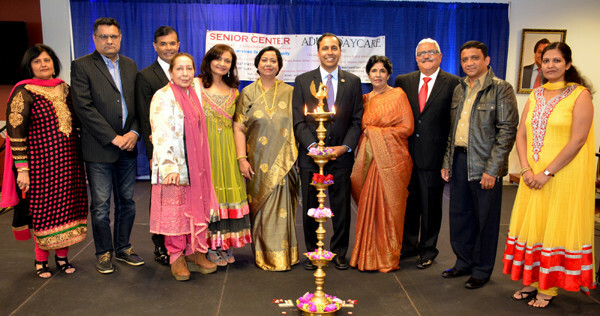 More than 300 seniors and prominent community members attended Metropolitan Asian Family Service’s Mini Fundraising dinner last month in Schaumburg, IL 60193. Ribbon cutting ceremony at the brand new MAFS Schaumburg location. Left to Right, Mrs. Santosh Kumar, Executive Director; Congressman Raja Krishnamurthy; Dr. Rakesh Asthana, Board Director; Michelle Mussman. 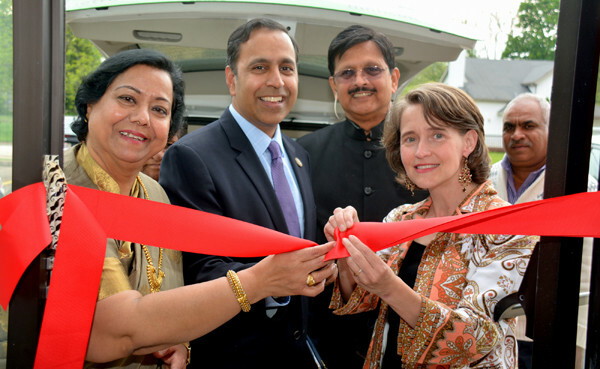 The celebration started with the ribbon cutting ceremony of the Schaumburg Adult Day Care location by Congressman Raja Krishnamurthy, D-Illinois and State Rep. Michelle Mussman. Lighting of the traditional lamp by Congressman Raja Krishnamurthy at the new MAFS Schaumburg location. The lamp-lighting ceremony took place in which Krishnamoorthi, Vipan Wadhera president of Hari Om Mandir, Krishna Bansal, outreach coordinator, Naperville Village, Jay D’Mello of MB Financial, Syed Mohammed, manager, US Bank, Cameel Mohammed, private banker, Chase Bank, Dr Firdaus Jafri president MAFS, Neil Patel, owner, MedStar, and Santosh Kumar, executive director of MAFS, Asian Media USA reported. Krishnamurthy spoke about the importance of such community services for seniors and commended the MAFS team for serving the community on all fronts for over 3 decades. Keynote Speaker State Rep. Mussman recognized the efforts of Executive Director Santosh Kumar to provide services to as many people as possible in the Chicagoland area. Bansal in his opening statement, said he counted himself as part of the MAFS family and urged the community to come forward and join in MAFS mission of serving and caring. Indian Consul, Chicago O.P. 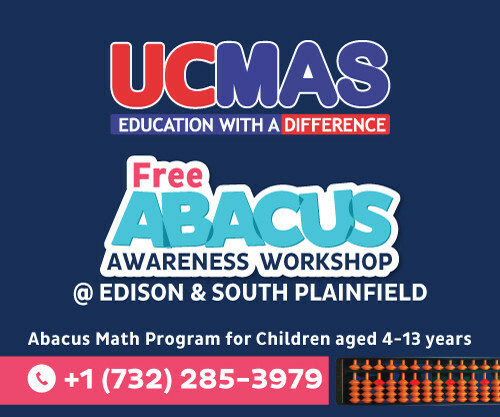 Meena, appreciated the services provided by MAFS and spoke very highly about it’s efforts to make Yoga Day, a success and invited the whole community to join the upcoming Yoga day being held in Naperville, IL on June 24. Guest speaker Executive Director of CLESE Marta Pereyra spoke about the years she has been associated with MAFS and congratulated the organization for its efforts to serve the community in spite of budget cuts for social services. Kumar appealed for more community support in view of those budget cuts. She thanked the special guests for coming, the donors, and the seniors for showcasing heartwarming programs. Program started with the traditional Indian Ganesh Stuti. A stunning performance by students of Kalapadma Academy, by Ms. Verghese. 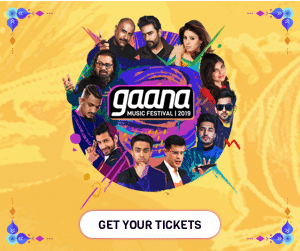 The entertainment program began with Ganesh Pushpanjali by Kalapadma Dance Academy choreographed by Ruth Varghese and performed by Anjali Varghese, Jenish Bulsara, Eshana Patel, Shreya Rawal, Maya Patel and Krishna Shah. The Seniors’ performances began with a rocking show by Niles ADS seniors performing on “Woh Ladki Hai Kaha”. 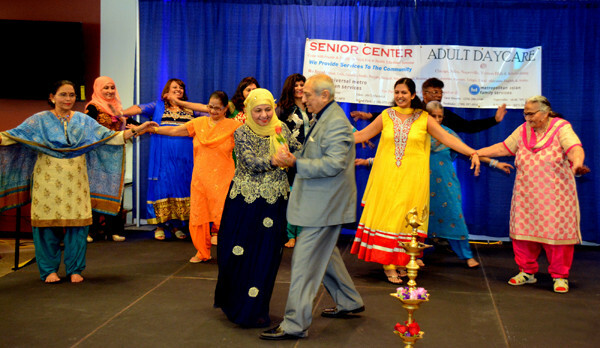 Schaumburg ADS seniors followed by showcasing “Zindagi Zinda Dili Ka Naam Hai” and Naperville ADS senior Tabassum Rabbini received a standing ovation after performing on “Inhi Logo Nein” from the movie “Pakeezah”, according a report by Asian Media USA. Naperville ADS seniors gave another Dhamakedar dance performance with “Bollywood Ka Safar”, a medley of songs from the black and white era of 1960 to the colored movies of today. The performances ended with Chicago ADS seniors showing their talents and demonstrating “Unity in Diversity” by their costumes from different states of India. Local performers at the event included Chetan Trivedi, Dr. Sonal Patel, and DJ Abhi Trivedi.